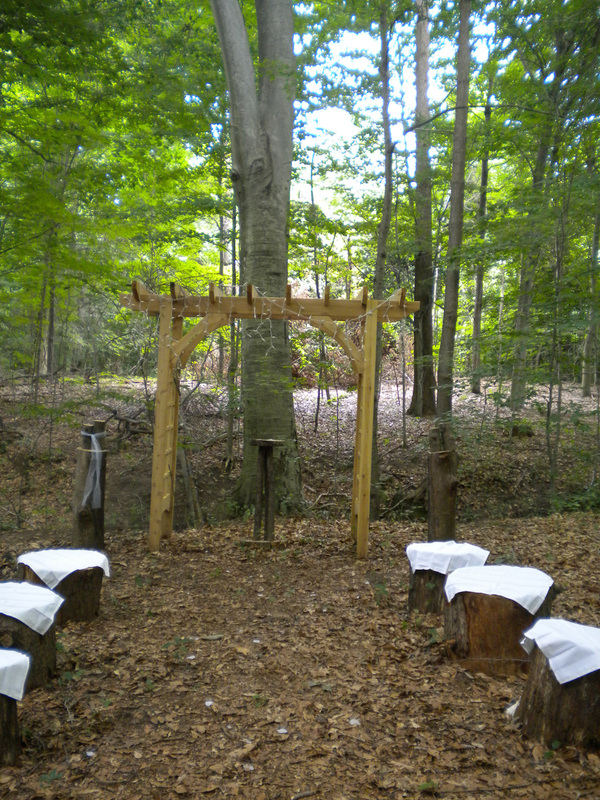 Romantic and beautiful outdoor forest wedding ceremony location in Southwest Michigan, minutes from South Haven. A rustic foot bridge over a creek leads to a clearing in the woods, an arbor and rustic seating make this a beautiful place to get married. An area for an outdoor reception or a tent is available. Ceremonies and receptions for up to 100 guests. Accommodations are also available on site. Ceremony venue prices start at $300.